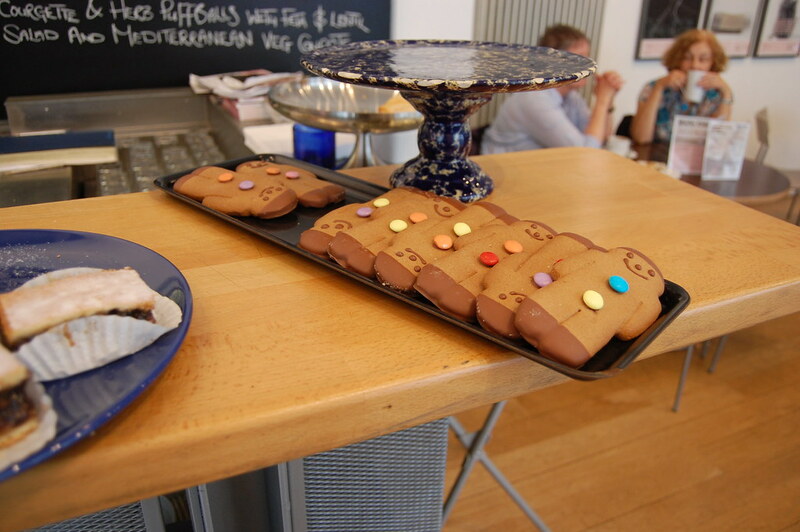 The redoubtable Fruitmarket Gallery in Edinburgh had a tantalizing selection of pastries, including these large, joyful gingerbread cookies that had been dipped in chocolate. 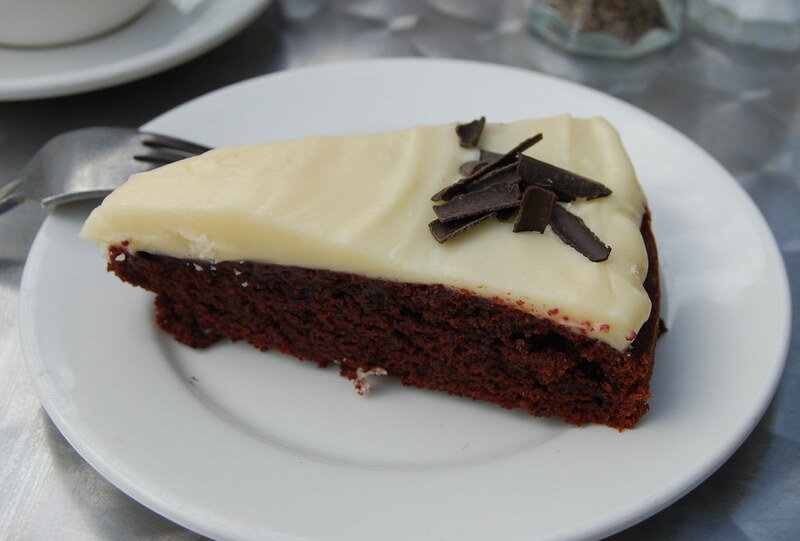 Check out the zest on that frosting! 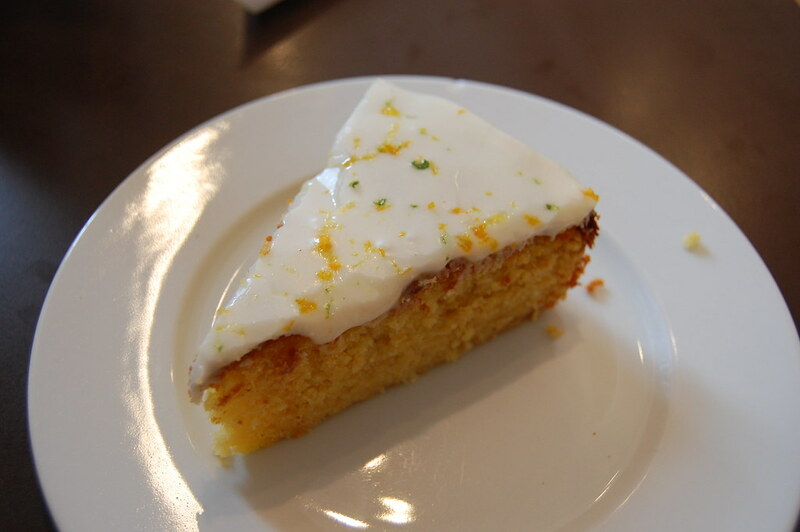 There's a little bit of a Larry Poons or Cy Twombly feel in the way it has been elegantly scattered across the sweet, citrus-packed icing. 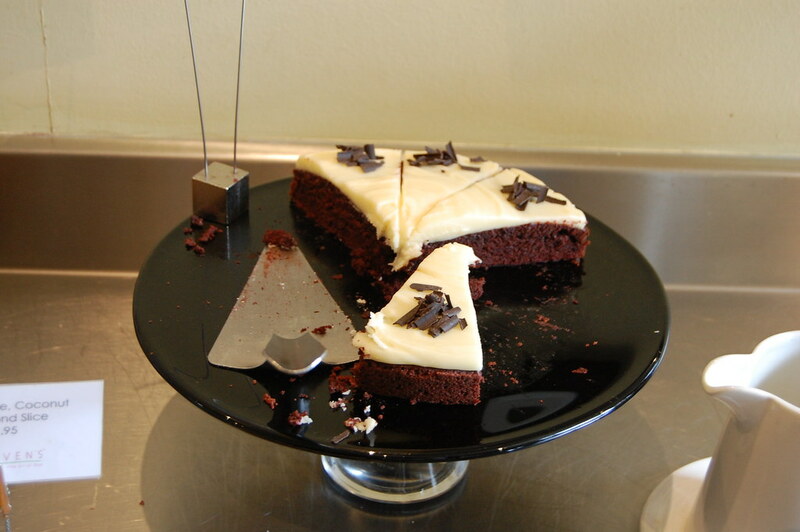 Dense, rich chocolate with just a tiny hint of spice: a Richard Serra sculpture covered with snow. 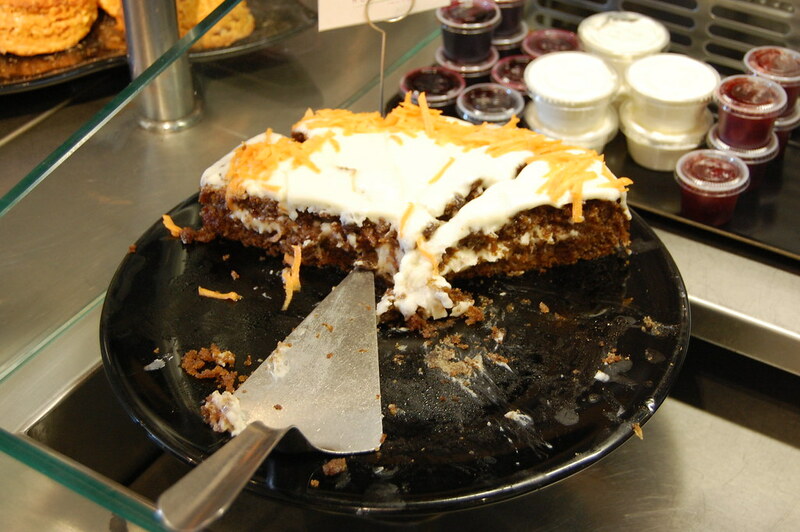 I couldn't handle a second slice of cake at the Scottish National Gallery, but this moist-looking nutmeg carrot cake looked particularly inviting. Because I was too busy staring at the a Boîte-en-valise on display at the Dean Gallery, the other modern art museum in Edinburgh, but this view into its café (which includes a fearsome sculpture by Eduardo Paolozzi) was visible from the museum's second floor. 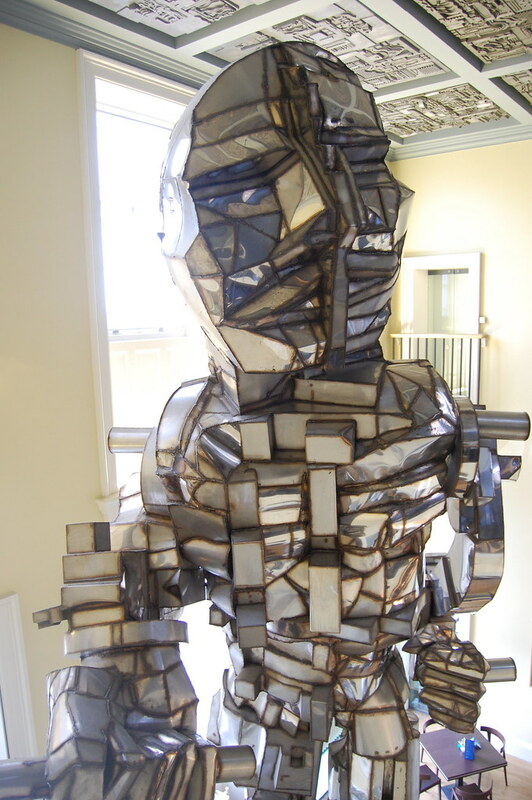 Note the café tables hiding behind Paolozzi's Vulcan. 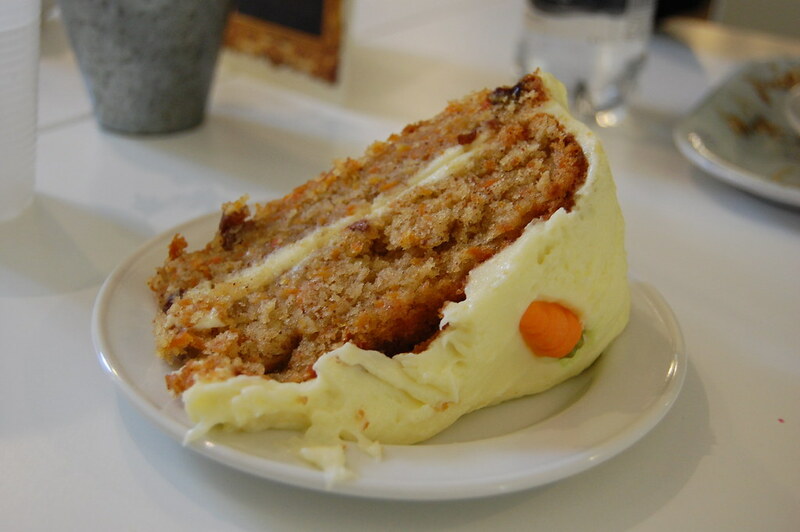 Tucked away in the Irish Museum of Modern Art's basement was a kitchen serving a remarkable carrot cake, a clear rival to MoMA P.S.1's formidable entry in that category. 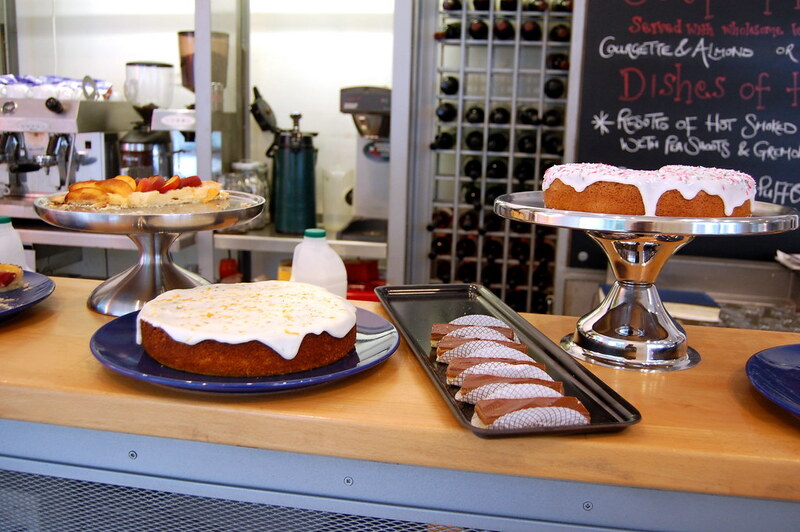 The Dublin City Gallery, The Hugh Lane, named for its founding director (who died on the RMS Lusitania), has outsourced the operation of its café to the Brambles chain, which presented a strong selection of about a dozen different cakes. 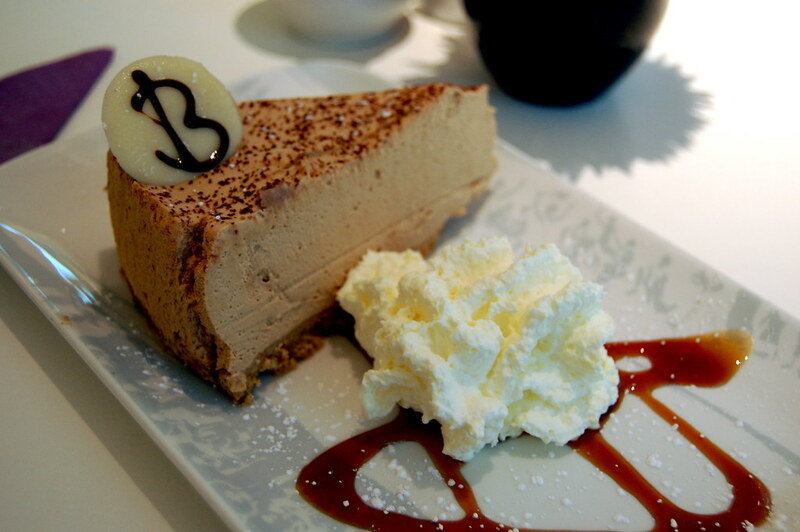 This Baileys Irish Cream cheesecake was surprisingly light and bracingly alcoholic. 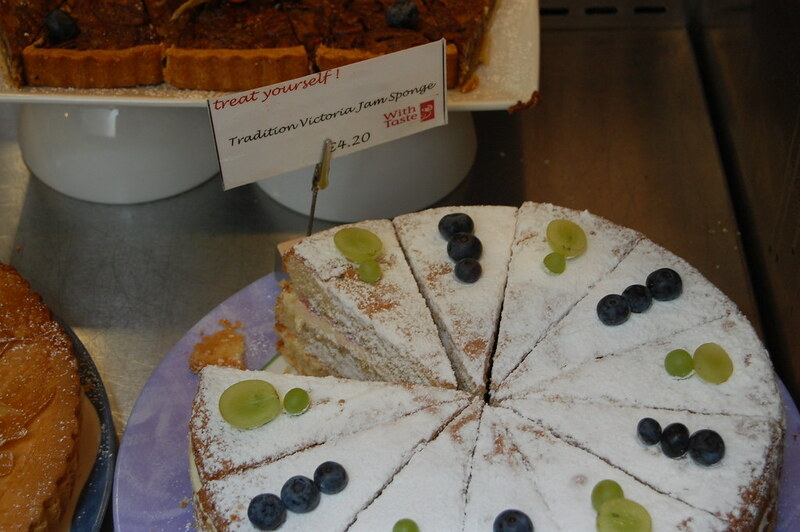 Too exhausted and plump after so much cake eating, I could only look longingly at this traditional Victoria jam sponge cake, trying to convince myself that I was satiated by the Vermeer on view upstairs.